In service to those on the other side and in collaboration with Julio The Mexican, XOXO present a multi year immersive performance honoring those we have lost. 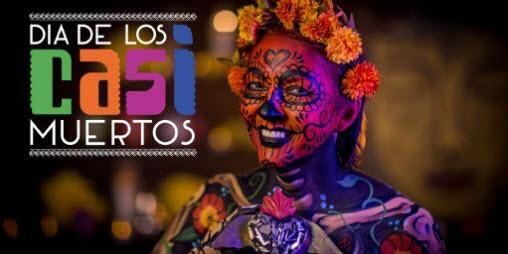 Dia De Los Casi Muertos or Day of the Almost Dead is an ongoing multimedia project that explores the cultural differences between Mexican and American experiences with death and aging. The aim of the project is for contemporary American society to examine their values by confronting the taboo of death- ultimately pushing us to appreciate the gift of life.